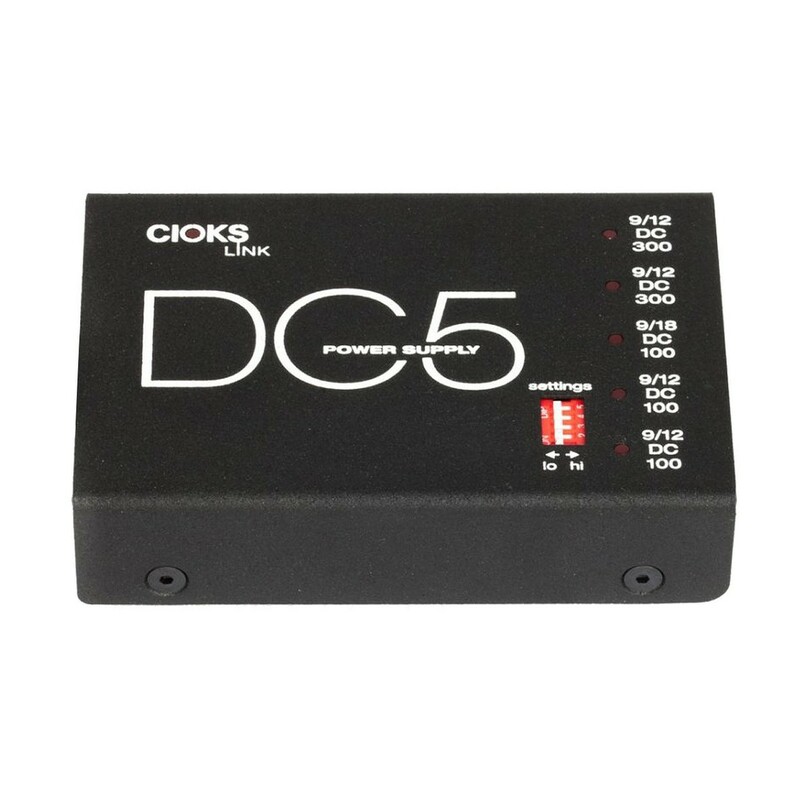 The Cioks DC5 Link Power Supply is a powerful addition to any pedalboard, offering a small and very flat design with 5 isolated 9V, 12V, and 18V outlets. The two first outlets offer 9V and 12V to power a range of medium to high current pedals, while the last 2 outlets can power two or more standard low current pedals. 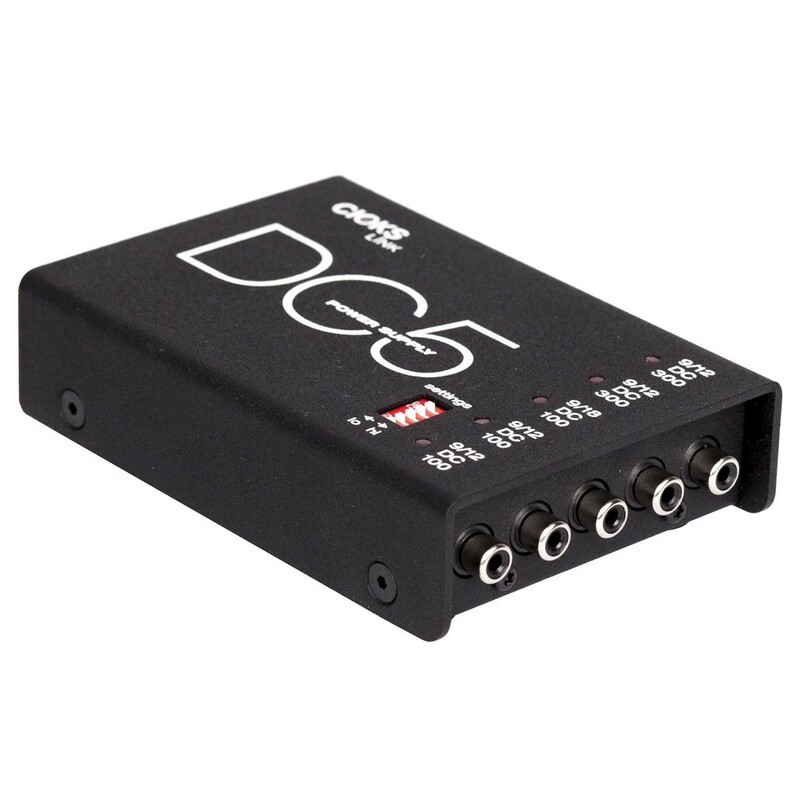 This middle output offers 18V of current, allowing players to power high demanding pedals such as dirt units. Combining the outputs via a stack Flex cable allows the DC5 to power 24V pedals. The DC5 Power Supply is also equipped with Cioks' courtesy AC mains link, allowing the unit to be connected to other Link power supplies for extra outputs. 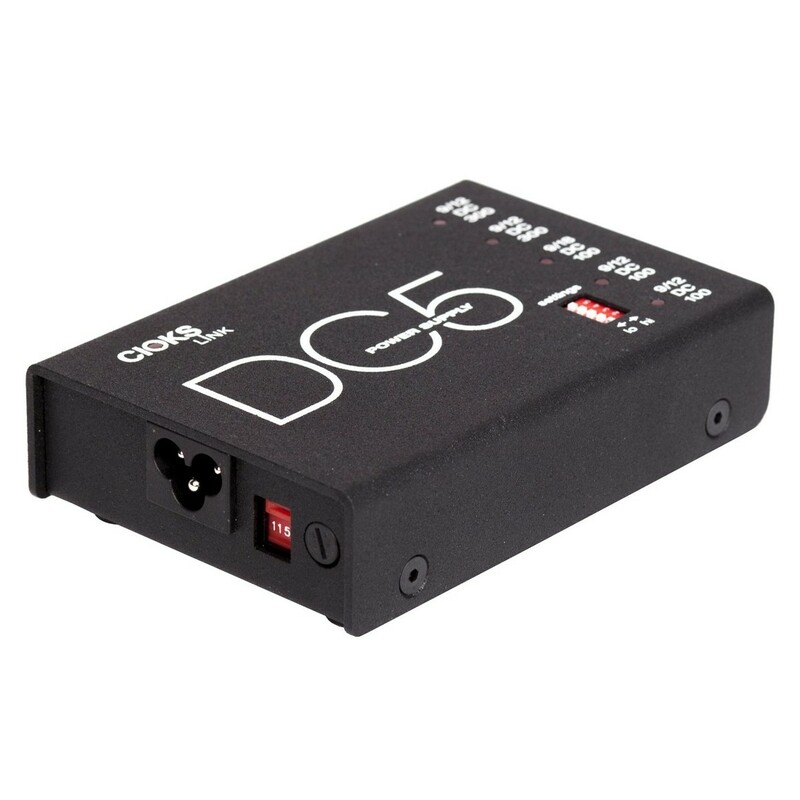 With its compact design allowing it to fit under flat pedalboards and an incredibly rugged design, the Cioks DC5 Link is the perfect companion for small pedalboards. 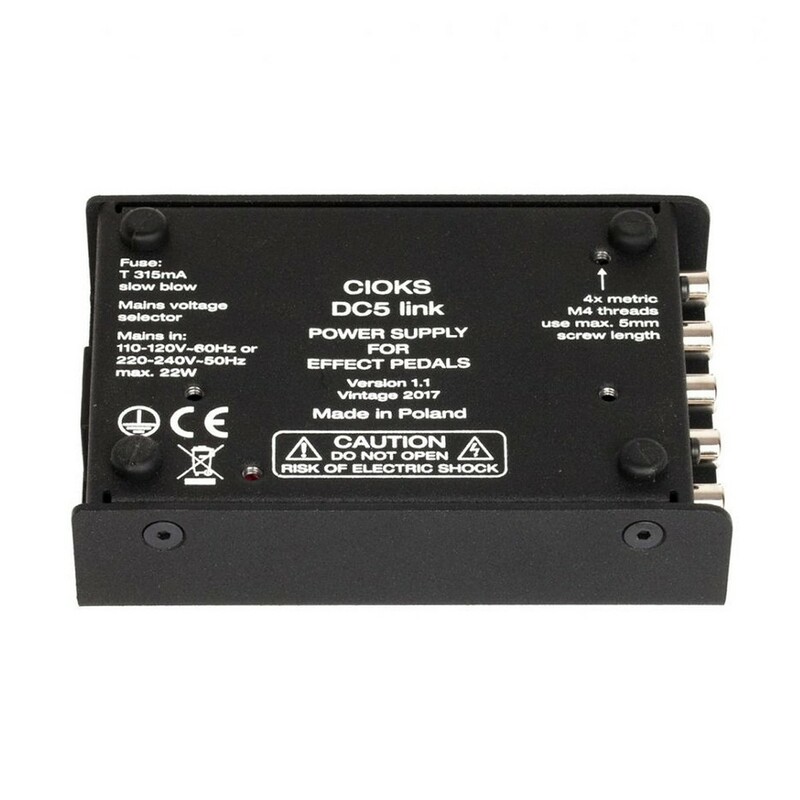 Each power supply from Cioks’ Link range are designed with unique positions for the courtesy outlet and AC mains inputs, allowing the DC5 Link to be connected with other link pedals and add an extra 5 isolated outputs. This feature is perfect for powering two or three units with one mains chord, ideal for locations with only one available power outlet. This setup makes it easy for players to combine different power supplies and create their own custom power bank to match their specific needs. The Cioks Power Supply is designed to deliver a seamless performance, with a wide range of features to ensure the unit can survive. A set of LEDs are added to each section/output, offering full time monitoring of the current limit to help prevent against overloading or short circuiting the output. Short circuit protection is also included on all the outlets, protecting the circuits from damage if too much current is used.